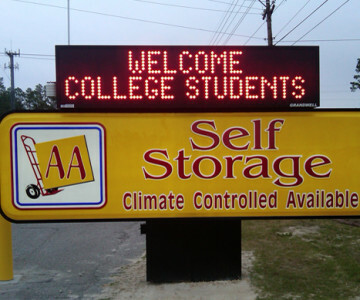 Stay up-to-date on our Wilmington storage specials! WHEN YOU PAY FOR 6 MONTHS UP-FRONT, YOU RECEIVE 7.5% OFF OF THE TOTAL RENTAL AMOUNT. WHEN YOU PAY FOR A YEAR IN ADVANCE YOU WILL RECEIVE A 15% DISCOUNT ON YOUR TOTAL RENTAL AMOUNT.